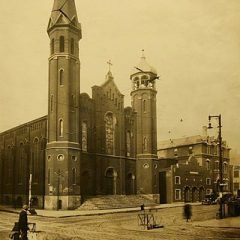 Saint Patrick High School was founded by the Christian Brothers in 1861, as Chicago was undergoing rapid growth. It served boys from the area in which it was located, Des Plaines and Adams Streets. Later, as the city continued to grow, industry developed around the school and the students came instead from more outlying areas and later from suburbs because their fathers were alumni of the school. 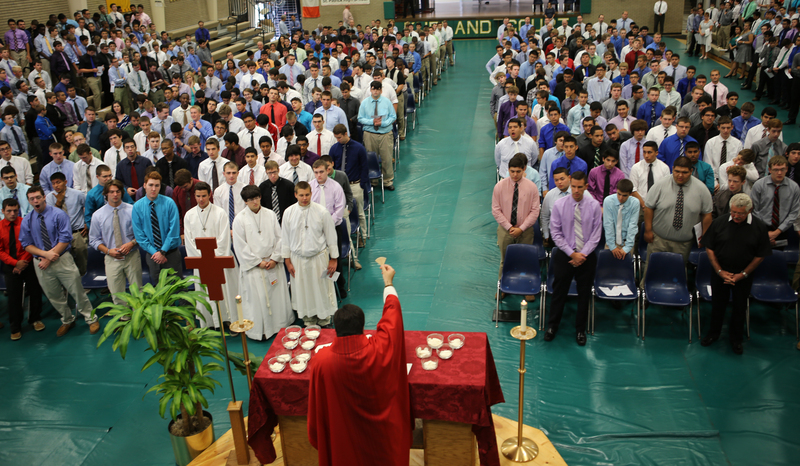 When the Eisenhower Expressway was under construction, the decision was made to move Saint Patrick High School to its present location in order to serve the needs of Catholic boys from the northwest side parishes. 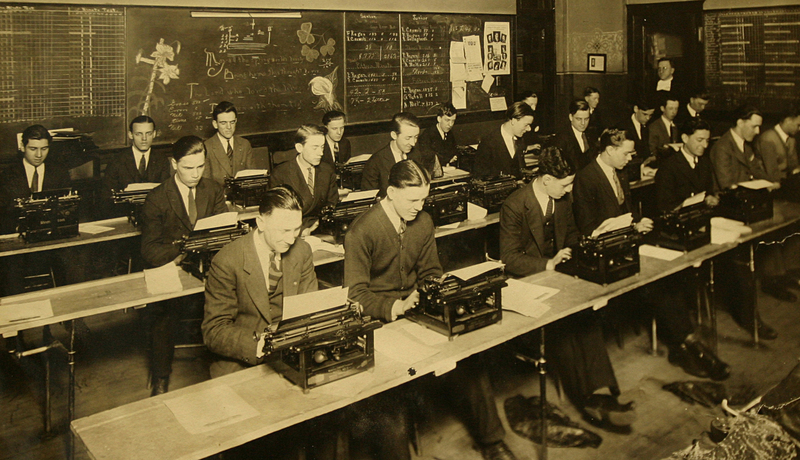 In June, 1952, the old Saint Patrick closed its doors, and in September, classes for its students started in the Saint Mel High School building with a special schedule of afternoon classes. 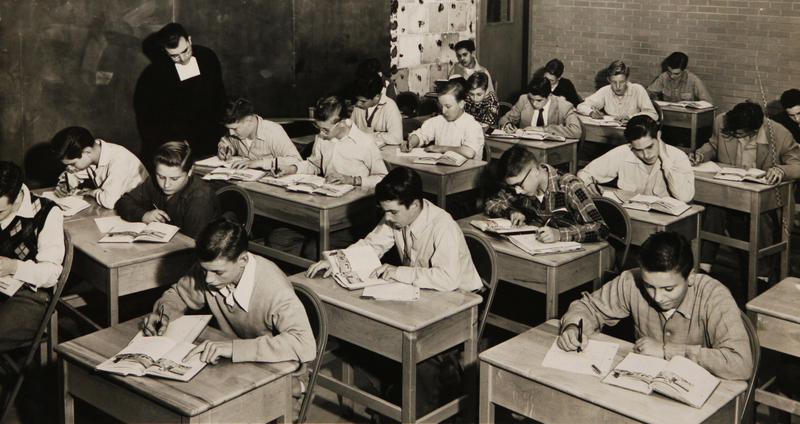 Classes in the new Saint Patrick began in September 1953, although the building was not completely finished. During the next three years, the demand for entrance into the school was great enough to require the construction of the circular building which was completed in September, 1956. The final construction of the swimming pool, handball court, and instruction rooms was completed in September, 1967. In 1991, due to the ever-increasing demand for technological advances, the top floor of the “round” building was reconfigured to accommodate a high-tech Computer Learning Center. 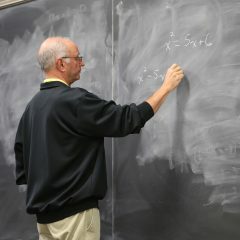 It housed 120 computers and facilitated a network of over three hundred internet-accessible computer stations that were used to integrate all areas of the curriculum. The administrative structure changed in 1987 when the position of President was created. The existence of a President/Principal style of leadership effectively addressed the needs of both students and the larger community. In 1990, a board of trustee model was incorporated and adopted by the Christian Brothers. 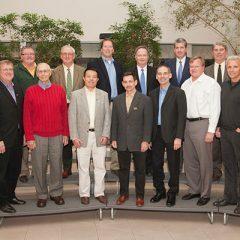 Currently, the twenty-eight member board is comprised of men and women who represent various career backgrounds, and includes among its members representatives of the Christian Brothers and Saint Patrick alumni. The Administration and Board of Trustees became instrumental forces in the strategic planning and development of the school’s first ever capital campaign, Vision 2000. 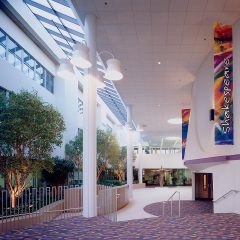 This 6.5 million-dollar building and program expansion project was completed in July, 2000, and includes the Lowell A. Stahl Cultural Centre, the James J. Barrett Center, the 299-seat Stahl Family Theatre, the Wallner/Kaulentis auxiliary gym, additional music and art facilities, and additional office space. 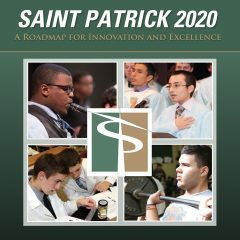 Saint Patrick High School has remained throughout its history an institution technologically advanced and highly competitive within all areas of the curriculum. Saint Patrick became the first Catholic school in the State of Illinois to form a STRIKER Robotics program and compete nationally. 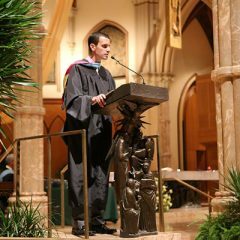 Then, in 2012 Saint Patrick became the first Catholic school in Chicago to implement an iPad program. Shortly afterward, it formulated its 2020 Strategic Plan—a roadmap for innovation and excellence. To kick off that Plan in 2014, 20,000 square feet of land on the northeast corner of Belmont and Austin were converted into the “Lasallian Garden”—an urban garden which beautifies the neighborhood and the campus, and provides additional green space. Then, in 2015, the state-of-the-art Ettore L. Giovannetti Health and Wellness Center was constructed and unveiled. It is equipped with new bikes, treadmills, elliptical machines, weights, and all the equipment and technology necessary for students to participate in physical education classes, team training, and fitness programs. 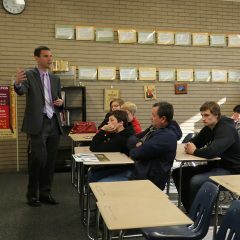 Finally, in 2016, the INCubatoredu Entrepreneurship Program was introduced to the students of Saint Patrick, complete with a new, custom-built “Entrepreneurship Room” designed to serve as a “think tank.” As such, the “Room” simulates a college business lab where students can collaborate face-to-face, as well as on their iPads and laptops, in a conducive, creative environment. 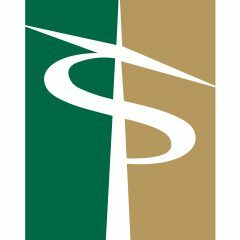 The school has also implemented a STEAM (Science, Technology, Engineering, Arts & Math) Program that strives to give all students increased opportunities by taking part in experiential learning, developing meaningful STEAM skills, and exposing students to opportunities that will prepare them to be innovators of a 21st century economy and world. graduate, with most of our students giving over 100 hours of service during their high school years. Our students reside in the city of Chicago and nearby suburbs and represent 51 zip codes and come from more than 100 different elementary schools. 4% of our students emigrate from other countries. We currently have an enrollment of approximately 670 students for the 2016-2017 academic year.